Are You Considering Filing a Xarelto Lawsuit? Our Xarelto lawsuit lawyers are pursuing cases where Xarelto users have suffered injuries such as pulmonary embolism, deep vein thrombosis, gastrointestinal hemorrhage and hemorrhage and death. There is no minimum exposure to Xarelto required. If this describes you or a family member, contact us for a free consultation and speak to a lawyer who can help you today. Anticoagulant drugs like Xarelto (also known as rivaroxaban) are a high-risk treatment and cause bleeding in approximately 15% of patients with atrial fibrillation exposed for a year. There is an increasing number of serious adverse event reports reported to the FDA with both Xarelto and a similar drug called Pradaxa. Both are associated with serious and sometimes deadly bleeding events. Xarelto (rivaroxaban) adverse events reported continue to increase as the number of people being prescribed Xarelto increases. There are close to 4 million annual prescriptions being issued so it is no surprise that the number of harmful events are on the rise. In the past few years it is Pradaxa (dabigatran) that was being watched closely because of the related side effects but now Xarelto has more bleeding events reported as more people are being treated with the drug. Total dispensed outpatient prescriptions for Xarelto has jumped up to nearly 1 million prescriptions per quarter while Pradaxa use has declined since it peaked in 2012. According to IMs Health, Inc. Institute for Safe Medication Practices, rivaroxaban prescriptions outnumbered dabigatran by almost 2 to 1. According to the Newly published data also show that the bleeding risks of dabigatran could be substantially reduced if two therapeutic options available in most advanced countries were approved in the United States. Those options are a lower, 110 mg twice daily (BID) dose, and a laboratory test capable of identifying patients who need a dose adjustment because the effect on thrombin inhibition is either excessive, increasing the risk of severe bleeding, or sub-therapeutic, exposing the patient to a higher risk of stroke or other blood-clot related adverse event. ISMP has explained the need for the FDA to make these options available in its February 13, 2014, newsletter, the ISMP Medication Safety Alert! Acute Care edition. 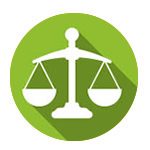 Choosing the right attorney is a difficult decision but we make the process easier. The i-lawsuit.com team has selected some of the best lawyers in the country who are experienced at handling dangerous and defective product cases. Our Xarelto lawyers have recovered millions for injury victims across the nation. Our attorneys are experienced, have a proven track record and are passionate about helping good people who have been harmed by manufacturers selling dangerous drugs like Xarelto. Our attorneys serve all over the country from California and Nevada, all the way to New York and all cities and states in between. 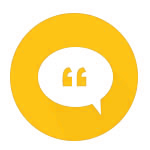 If you have questions about Xarelto and whether or not you have a good case, contact us today. What are the most common Xarelto adverse events reported to the FDA? The most serious Xarelto adverse events are uncontrolled bleeding events, such as bleeding of the brain. Xarelto (rivaroxaban) is a newer prescription drug that came on the market in 2011. 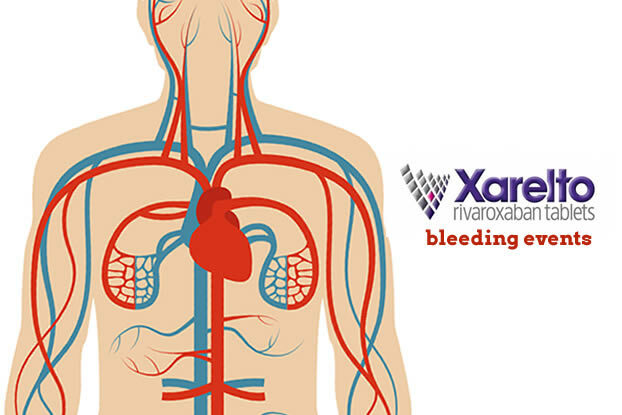 Xarelto is an anticoagulant (blood thinner) medication used to reduce the risk of blood clot leading to stroke in those with irregular heartbeat (a condition called atrial fibrillation, or AF). This medication may also be prescribed to treat deep vein thrombosis (blood clots deep in the vein) and pulmonary embolism (a blockage in an artery in the lung). Deep vein thrombosis (DVT) is a dangerous condition that typically occurs in the larger veins of the leg or thigh. When clots break loose, they can travel through your bloodstream to other smaller veins and become lodged in the lungs (called a pulmonary embolism, or PE), heart, or other vital areas. This blockage of blood flow can result in severe damage to the organ or may even result in death. In 2012, the FDA expanded the approved use of Xarelto. While it was already being used to treat the prevention of AF, DVT, and PE, as well as venous blood clots after knee or hip replacement surgery, this new expansion would increase its use for the treatment and reduction of the recurrence of blood clots following initial treatment. While there have been a number of drugs on the market over the years that have been used to treat these conditions, including Coumadin (Warfarin), Pradaxa (Dabigatran), and Eliquis (Apixaban), Xarelto is currently the mostly widely prescribed drug in this class, despite the fact that there are so many concerns regarding its safety. Unlike Coumadin, for example, there is no emergency antidote in the case of uncontrolled hemorrhaging or internal bleeding, which is a huge problem with such drugs. Have you suffered a bleeding event while hospitalized? You or a family member may have suffered a bleeding event at a hospital. Below is a list of the largest hospitals in the country. Whether you were treated at one of these facilities or another hospital, you may still have a Xarelto case. It is important to note that the companies that manufactures the drug, Bayer and Johnson & Johnson’s Janssen Pharmaceuticals, are currently facing multiple lawsuits due to safety issues related to Xarelto. In 2014, over 4000 people who filed lawsuits against the manufacturers of Pradaxa, Boehringer Ingleheim, were awarded compensation for the serious side effects that drug caused, including gastrointestinal, rectal, and brain bleeding, and hundreds died as a result of its side effects. It is estimated that the damages from Xarelto will exceed that of Pradaxa, as side effect injuries appear to be even more serious. While Xarelto cases are still in their infancy, and attorneys say it is still too soon to tell how many will hit U.S. courts, they do believe that the manufacturers have placed financial gain above the safety and wellbeing of consumers by not fully disclosing the extent of the risks associated with their drug. A Black Box Warning has been issued for this drug for epidural/spinal hematoma risk and for use discontinuation. If you experience signs of DVT or PE you should call your doctor immediately. If you or a family member has experienced pulmonary embolism, deep vein thrombosis, gastrointestinal hemorrhage or a loved one has died contact us today for a free consultation. There is no minimum exposure to Xarelto required. There are no upfront fees required to hire our Xarelto attorneys, you pay only if your case is successfully resolved and money is recovered on your behalf. I had stents put in my legs because of blockages I was prescribed Xeralto and began having servere dizziness after I started taking the medicine and made multiple trips the ER and was hospitalized for after I was released I had a stroke. I was given no instructions on how to take the medicine nor was I told of the risks or of people’s complaints with the drug. I have reached out to a law firm to represent me in the lawsuit against the makers of the drug they said they couldn’t represent me and didn’t give a reason why. I need representation. Earlier this year my husband was being treated with Xarelto. He began bleeding internally the doctors and staff were not able to stop the bleeding. That same day the doctor told me that my husband had passed away and there was nothing they could do to revive him. This is a terrible drug and I was not told that this could happen. Later I found out there was no antidote. Why would they use a drug that could cause major bleeds without a way to stop it? This makes no sense to me at all. I need to speak to a lawyer. Can you email me some information. My Husband takes Xarelto and was hospitalized with internal bleeding. Sure Misty, not a problem. This is a dangerous drug. My sister and father were both on it. Sister was on it for a 3 months and father for 6 and started to having internal bleeding. Eventually they made him stop taking it because I was told he could have a stoke or heart attack and die. There are other ways to thin your blood. These blood thinner drugs are too dangerous. Ask for a different option because this drug isn’t worth the risk, people are dying. Both are now off this drug. Thank you for the comment Kay. It’s important that people know about the potential complications with any drug or medical device being used on them and unfortunately that is not always the case. My mother took Xarelto and hemorrhage and almost died as a result. She spent over 6 months in the hospital and rehab because of this. Many blood transfusions were needed. Hi Li. Please let me know if you need any information or help from one of our attorneys who are handling these cases. I recently was hospitalized with a bleeding incident.